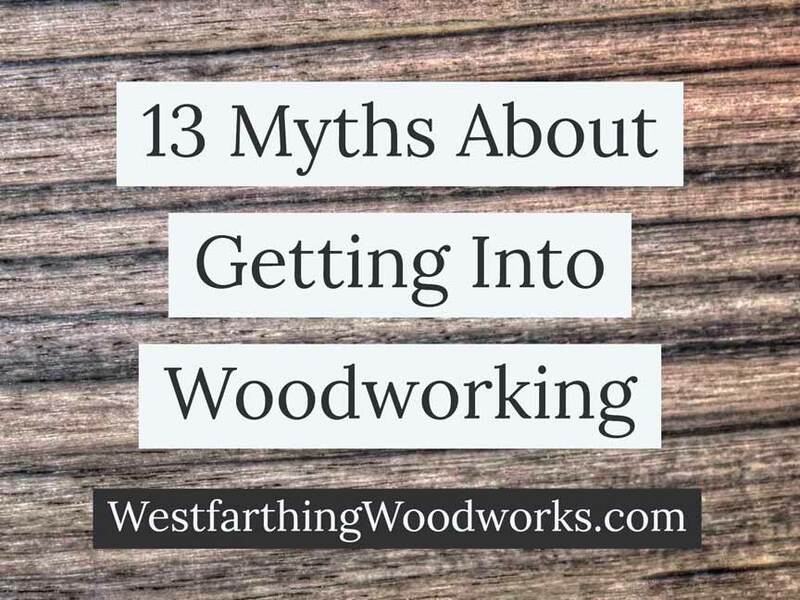 This is 13 Myths About Getting Into Woodworking, and it’s sad to say that many of these prevent a lot of people from trying out woodworking for themselves. Thankfully, they are all untrue, and if you have any of these holding you back, they won’t after reading this post. Like any new hobby, woodworking can be a little scary in the beginning. To add to that, there is also a lot of bad information out there about the craft. These rumors and outright lies have become very pervasive, and they can prevent you from getting into woodworking. Like most rumors, once they are dissected and the truth comes out, they are easy to dismiss. Enjoy the list, and hopefully none of these myths are keeping you from getting into woodworking as a beginner. One of the biggest myths about getting into woodworking is that you need a lot of tools. You don’t, and on top of that you can typically start with a few and work up to getting more. It does depend on your project, but sometimes you can get away with buying very few tools. Read What Tools do I Need to Get Started in Woodworking for more. Smaller projects, and one tool projects like lathe work tend to be on the less expensive side, and you don’t need a lot of tools. 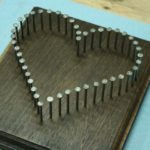 If you are making things that are really elaborate, you can still reduce your tool number if you are willing to do a little multi-purposing with the tools you have. In general, most tools can do more than one thing. If you really get to know your tools and understand what they do, you will need less of them. Focus on the tools you have, and use them to get more done. In this way, you will actually not need many tools to get started. The danger of this myth is that it prices people out of the craft without them even taking a look. 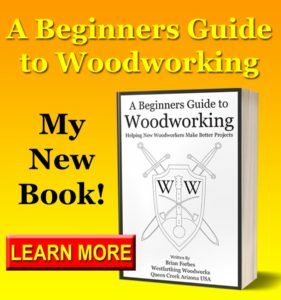 I wrote Where to Buy Woodworking Tools to help you find common and alternative places to buy your tools in the beginning. Coming out of the first myth, the second that typically slows down new woodworkers is that you think it’s expensive to start. Again, it does depend on what kind of woodworking you are getting into, but there are usually lower cost options even for the more expensive branches of woodworking. Most smaller to medium sized woodworking projects are easy to make, and can even be made with hand tools. If you look for hand tools, or look for second hand tools, you can cut your start up costs and still make a lot of great projects. I recommend looking online in the second hand market for your first few tools. Take someone with you that knows about tools, and they can check them out for you before you buy. Start out small. You only need the basic tools at first. Over time, you can add more, and that’s how you end up with a lot of tools. The myth that it is expensive to start woodworking probably comes from new woodworkers seeing an entire shop full of tools when they visit a shop. What they don’t immediately know is that it takes a whole long life to acquire a lifetime of tools. It’s very rare that someone buys everything on day one, which means the start up cost is a lot lower than it looks. The third myth about getting into woodworking is that it takes a long time to learn. Woodworking in general is a big field, so yes, it would take a long time to learn it all. In fact, it could take several lifetimes to learn it all. That being said, you are not looking to learn it all are you? In the beginning, woodworking is actually very easy to learn. You will most likely want to build something, so that’s all you will be learning about. Woodworking is a lifelong learning process, but it’s always one project at a time. Learning like this keeps you sharp, but never burdens you with too much more than you can handle at one time. For example, if you want to learn how to make a tobacco pipe, that’s your focus, and that’s all you need to spend your time learning about. There are millions of other things that also qualify as woodworking, but you don’t need to think about those at all. Worry about the pipe for now, then tackle other things later. A huge myth in woodworking is that everyone has less than ten fingers. While there are a few people in the business like that, in general the tools are made to be safe. It’s the operators of the tools that are not always safe, and since nobody likes to take responsibility anymore, they blame the tool when they get hurt. Woodworking tools have spinning blades, turning bits, and moving parts. When used incorrectly, they can absolutely hurt you, or even kill you. The reality though is that you have complete control over the situation. If you spend some time learning the tool, learning about safety, and practicing, you can safety operate woodworking tools for the rest of your life. When you cut corners, use tools without understanding them, and disregard the safety procedures that are listed out in your users manual, this is when you get into danger. If you apply this scenario to nearly any other hobby, it would be seen as dangerous too. It’s all about you, and how you value safety. That will determine if the tools you use in woodworking are dangerous. This one comes from the metal workers more than anyone else, and they bring up the obvious fact that metal is a stronger substance than wood. They are right, and that is a completely true statement. The way it gets misinterpreted by new woodworkers is that because metal is stronger, wood is inferior, and this is not the case. Wood is a great material, and it has been used by humans for thousands of years. Wood is abundant, varies in density, and can be a very strong material for lots of projects. You can find wood that is soft, hard, very light weight, and even so heavy that it doesn’t float. As a building material, most houses are made from wood. If it was a bad building material, houses would be made from something else. Also, look at wooden weapons that take impacts over and over again. This is a huge demonstration of the strength and the reliability of wood, which makes it a great building material. To find wood, my 15 Great Places to Find Woodworking Wood is a great place to start. This one comes from the woodworking being expensive myth, but it has more to do with the tools that you use. The myth is that unless you buy the best of the best tools, you can’t get good results. This is completely wrong, and you can use modest tools to get good results. Plenty of woodworkers use entry level and mid level tools. In fact, there is only a small segment of woodworkers that have the money to purchase really high end tools. While they do work really well, they are not so much better than the middle of the line that you can’t get wood results with the others. I recommend that you shoot for the middle, which is typically where you will get the best bang for you buck on tools. The really low end stuff can be good sometimes, but it is usually not. By the same token, the really high end stuff is super nice, but it’s not several times nicer as the price would indicate. This fun woodworking myth actually comes from woodworkers themselves. The myth is that it requires a lot of physical effort to be a woodworker. Pushing the hand planes, carving with chisels, sanding, etc, all require a lot of physical effort…if you are doing it wrong. If your edged tools, hand plane, chisel, is making you sweat and fatiguing your muscles while you are using them, then you need to stop and sharpen your tools. Sharp tools cut really well, and they greatly reduce the amount of effort it takes to use them. There is of course going to be physical effort needed, even with the sharpest of tools, but it is not as bad as the myth suggests. If you are sweating like crazy, breathing heavily, and having to stop for breaks a lot, you probably have an issue with your sharpness, your tool, or the technique you are using. In Sharp Tools and My Odd Discovery, I share how I discovered how much I love working with sharp tools. It’s something that is hard to appreciate until you do it. Wood finishing gets a bad reputation from people that really don’t know anything about using chemicals and wood finishes. If you do something silly with your chemicals, like drink them, the chemicals become extremely dangerous, and most likely fatal. However, if you are careful, and follow the safety recommendations from the manufacturer, they can be very safe. New woodworkers tend to not have much experience handling chemicals. That’s understandable, and it only requires a little safety training. Any finish is meant to be handled a certain way depending on what’s inside the mixture. Follow the guidelines from the manufacturer and you can have a very safe time. Since I don’t know what finish you are using, I can’t give you exact recommendations. However, in general you should use gloves, a face mask, safety glasses, and a respirator. Work in a well ventilated area, and have someone spot you if you don’t know how you will feel around a certain chemical. Most chemical mistakes come from not wearing safety gear, and some of the liquid splashes onto the body. While most finishes are ok to get on the hands in small amounts, they can cause blindness if they get in the eyes. Make it a habit to wear your safety gear, and if you do get splashed, it will only result in a good story and not a trip to the hospital. The myth that you need a big area to be a successful woodworker is one of the worst, because it makes you think that it’s the area that makes the projects, not you. A determined woodworker can make a dining table in an outhouse if they put their mind to it, and a poor woodworker couldn’t make a single cut in the best shop in the world. The size of the shop means nearly nothing, and as along as you are caring and patient about what you make, you can still build great projects in a smaller area. I wrote a post called 29 Ways to Maximize Your Woodworking Shop Layout, and it has a lot of helpful tips on getting the most from your small space. As long as you have a woodworking space that is comfortable, inviting, and makes you feel creative, then you have a perfect shop. The rest is just details, and that includes the size. You determine what comes from your shop, not the size, not the tools, nothing else but you. Another pervasive myth is that you need to have a shop to be a woodworker. This is another lie, because there are many people that can’t have a dedicated shop and still make great stuff. There are some really determined woodworkers out there that build at their kitchen tables, and they make things that other less dedicated woodworkers have never made in their big shops. If you have a flat space to work, you have a shop. If you have a table, a kitchen counter, or some other flat piece of floor or ground to work on, you can be a woodworker. While working on the floor is not ideal, if you want it bad enough you will make it work. There are plenty of people that got their start at a folding table, and eventually were able to move into a shop. They turned out great work in both places, because they worked hard, cared about their project, and had patience. You are the most important ingredient, not your shop. Sawdust in the air, when you do not protect yourself, can be dangerous. Again, the dust itself is made to be the villian, and the people that make this comment always forget that there are plenty of options for keeping yourself safe. When you do nothing to protect yourself from floating dust, you have nobody to blame but yourself when something bad happens. Dust in the lungs can cause health problems over time. The fine particles are hard for your lungs to remove, and they get stuck. This can lead to breathing problems, asthma, and other chronic diseases that can severely reduce your life. Thankfully, all you have to do is invest in a good system to protect yourself from the dust, and you can have a good long life in the shop without as big of a chance of anything negative happening. There are simple devices that are not very expensive that filter the air you breathe. There are also others that are more expensive and they look like bio-hazard helmets. These are more advanced filters, and they offer a face shield to protect from impacts too. Pick out a dust mask or air filter mask that is comfortable to wear, and that protects you from the dust in the air. Then…actually wear it. 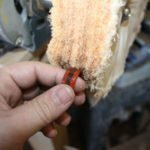 This one simple step can be the difference between lung issues down the road, and breathing well for the rest of your woodworking career. This woodworking myth is about wood as a natural resource. There are some people that think small woodworkers and hobby woodworkers are draining the world of it’s resources. While everyone has some form of an impact on the world, small hobby shops have nearly zero effect. Small shops don’t use much wood, even in a lifetime. It’s the production shops that consume wood in larger quantities. This is where the majority of the wood in the world goes. These shops produce wooden goods for sale, and require the natural resource to build their goods. While there are many of these shops that use alternative methods and materials to produce their products, they still use a lot more wood than any hobby shop. They are reducing their impact over time for sure, but a hobby shop does not even compare. If you are a conservationist, you do have options for woodworking that can keep you in the shop and not harm the earth. First, choose your wood wisely. Use reclaimed wood, abundant wood species types, and avoid rare and endangered wood. This is how you can enjoy woodworking without contributing to wiping out the last of some rare and exotic wood. Some woodworking projects do take a long time, but this myth falls apart really quickly because not all projects are so involved. 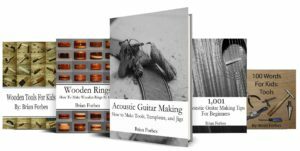 If you are making wooden rings, pens, or other small things, you can actually make several of them in one day. On the other hand, bigger projects can take several days or weeks. Having made guitars for a very long time, making smaller projects is actually a fun bit of relief, because they are done so fast. 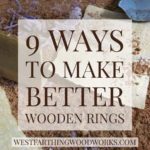 Wooden rings can be made by the dozen in a single day, and that’s a lot of completed projects, all done quickly. If you pick out a longer term project, it can take longer to finish. However, there are plenty of things that you can complete right away, and without having to work on the same thing for several months. It’s all about what you pick. Your homework is to see if any of these woodworking myths have been holding you back from starting out. If they have, then you should now have the freedom to begin without worrying. After all, these are complete myths, and nothing that should ever keep you from getting into woodworking. If you are still stuck, and need some help, please do a little more research. 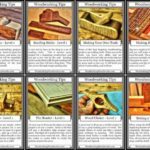 I am sure that you can find projects that will allow you do get into woodworking without having to sacrifice anything too large, or spend too much money. Again, it’s all about you, and your desire to make projects from wood. 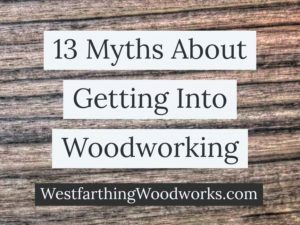 I hope that you enjoyed the 13 Myths About Getting Into Woodworking. These are common among new woodworkers, and people thinking about getting into the hobby. If you hear someone talking about these, make sure to help them see the truth. 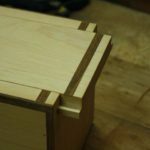 It is a sad thing to see someone not start such a rewarding hobby as woodworking because of a few myths. Woodworking is so amazing. You need to help others when they say they are not going to start because of one of these myths. If any one of these has been holding you back, consider yourself freed. You are going to have to do a little research, but any one of these myths can be overcome.